Here are some answers to the most frequently asked questions regarding Simply the Best 2019 voting! Voting begins on April 15 and ends June 15, 2019. We have a step-by-step how to on how to vote that should answer this question. Nominations are closed. Nominations were submitted by readers through the ballot on our website from January 1 until February 22. The top eligible nominees for each category were selected for the voting ballot. Why wasn’t my business nominated for _______? As stated, nominations are determined by our readers submissions during the nomination period. 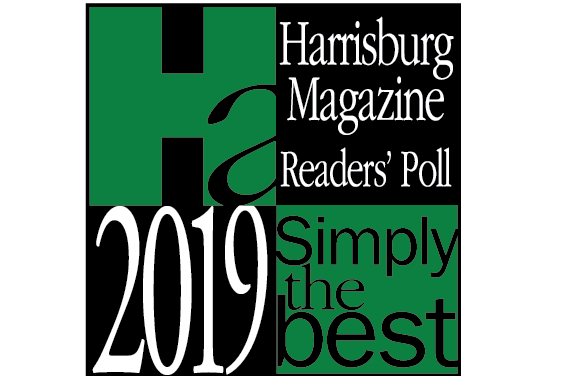 They are not determined by Harrisburg Magazine staff. If your business did not make it to the ballot for a certain category, then it is because it did not receive enough votes to make it onto the ballot. Why have some categories changed from the nomination ballot to the voting ballot? We split some categories for the voting ballot based on the nominations they received. In some cases, due to the number of nominees submitted, we split the category geographically. In other cases, we decided to split categories that were previously merged. Why didn’t you split ______ category? There were some categories that we attempted to split, but could not. Usually, this was because all of the top nominees ended up in one category. How come my address on the ballot is listed as _____? The ballot integrates with Google Business. If your address is showing incorrectly or has errors, please make sure you have registered your business with Google and they have the correct information. The ballot should update with the new information within a few days. If it doesn’t feel free to contact us. Do I have to advertise in the magazine to be nominated/win? No. No purchase is required to participate in the competition or to win the competition. We are not shy in telling you that advertising in our magazine helps because it is the best way to remind the voters about your business and what category you’d like to be considered for. Much like political candidates advertise to get their name out to the public (but we do not allow negative ads). Also, we would not be able to do this competition every year without our advertisers. It costs a lot of time and money to do a competition like this. Voters must use their own email address when registering to vote. Email addresses must be valid. The system we are using has a complex system to help eliminate potential voter fraud. Any votes that trigger the system are reviewed. Votes that cannot be verified or show signs that they may be fraudulent are eliminated. Any restrictions on who can win? 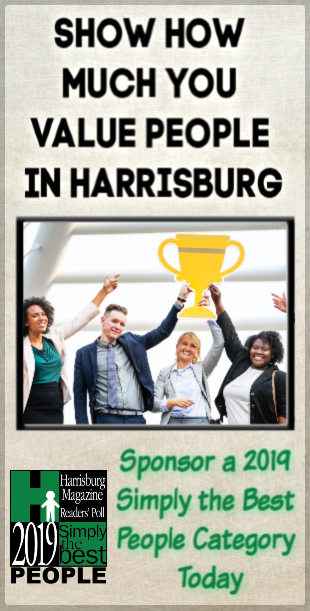 Any business or individual who does not provide good representation of Benchmark Media, Harrisburg Magazine or the competition may be determined to be ineligible and eliminated from the competition at any time. Also, any business that has demonstrated an unwillingness to follow the rules of the competition may be eliminated. Why do you require business to register? We added the registration process this year to help us resolve a number of issues we had last year. One of the biggest issues we had is notifying the winners. We had hundreds to contact last year and it was difficult finding contact information for some of them. So this year we decided to require business to register. It’s free and just requires them to put in some basic information about the business. We don’t feel it is too much to ask a business to provide their contact information to us. We do not sell our email lists and will only be using the information for this competition. What are you doing about businesses that are using customer emails to vote? Thankfully, this only happened a few times last year. This year we plan on being a little harsher in how we deal with businesses that repeatedly commit voter fraud. The platform we use, Second Street, is well-versed in identifying and eliminating many of the ways companies attempt to commit voter fraud. We also validate all emails used to vote to ensure they are valid and confirm votes cast randomly to help ensure we have the most honest and valid competition we can.